Blackberry Messenger user on Android and iOS can now make video call to friends and family using the new BBM video calling feature. The BBM video calling feature for Android and iOS has now been made available to other users outside the United States and Canada. BB10 users have been using this service before now on their devices. BBM seems to have come to the party a bit later than others because other popular social messengers like Google Hangeout, Skype, FB Messenger, Wechat, Viber etc already feature video calls on their messaging services, although WhatsApp is yet to activate thiers. 4. An active data subscription with 3G or 4G network connectivity. 4. Select “To try a video call”. Simple! 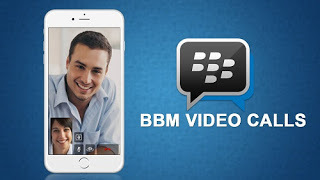 For you to be able to make the video call to you friends and loved ones, they MUST also update their BBM on their Andriod or iOS devices to activate the feature for free.